January is here! Full swing into winter! I especially love pulling out blacks and whites, and then adding pops of color with either a vest, bag, scarf, or jewelry. With the season comes the promise of boots and tights weather, and it is so fun to find pretty little dresses to go with them! 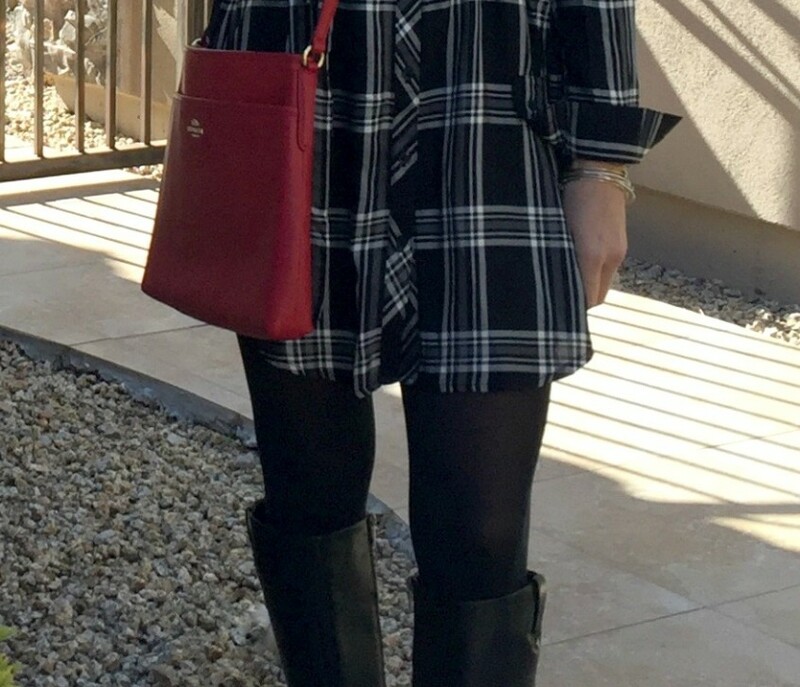 I received this dress for my birthday from my sister and think it’s a gorgeous winter plaid. I found that pairing it with tights (or even leggings) really brought it into the colder season. Since Arizona gets such a mild winter, I thought the sleeves looked cute cuffed up, although the sleeve length was just perfect when they were left down, too! E gave me this beautiful cross body bag for my birthday, and being that black & white is pretty much my favorite thing to wear, the red bag was perfect for me! I also think you could pair a dress like this with chunky white boot socks, black or colorful hunters, and a white or colorful vest to change up the look, too!